Click a banner above for more information. Welcome to Julian Wagstaff's Music and Science page - operas and chamber music inspired and informed by chemistry, physics and computer science. The show was a sell-out hit on the Edinburgh Festival Fringe that year. Partly as a result of the success of the opera, a number of commissions to write new pieces of music followed from science-based organisations and university departments. 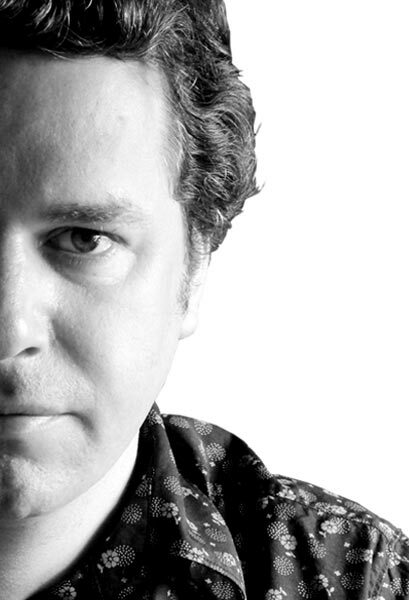 Since 2007, Julian Wagstaff has written music inspired and informed by physics at extreme conditions, chemistry, and the role of scientists in wartime. Click the 'picture buttons' below to find out more about each piece of music, listen to audio clips, and order CDs and sheet music (also available from Amazon and SheetMusicPlus). Of the above works, the piano trio A Persistent Illusion has been particularly widely performed. It appears on the CD recording of the chamber opera Breathe Freely available on the Linn Records label. In addition to introducing performances of the above works and leading workshops in schools, Julian Wagstaff has also been asked to give illustrated talks on the subject of music and the sciences, particularly in relation to the above pieces of music. The lecture 'When Worlds Collide - Composing the Sciences' includes many musical excerpts has been delivered to enthusiastic audiences on numerous occasions, including at the NoSIC conference on inorganic chemistry at Prullans de Cerdanya, Catalonia in 2014, and the Imagining Natural Scotland event in Edinburgh in 2013. A video of the latter talk may be viewed on Vimeo here. 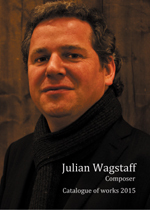 If you require further information or materials not found this website, if you wish to discuss performances of any of the above works, or if you wish to book Julian Wagstaff for a lecture engagement, please contact the composer directly.